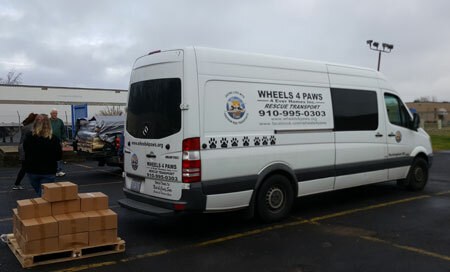 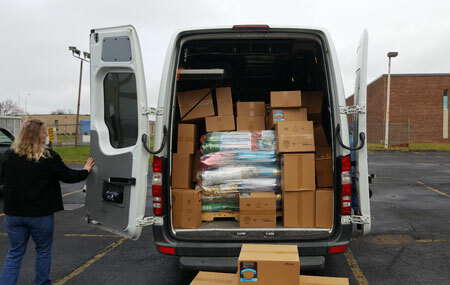 Today, as I pulled into the driveway, a transport from Wheels 4 Paws Recue was waiting for me to get loaded with lots of NGAP food to hull back to South Carolina. 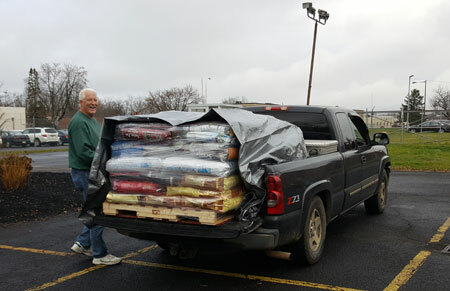 Another rescue from Virginia was simultaneously picking up 1,000 lbs or really good dog food. 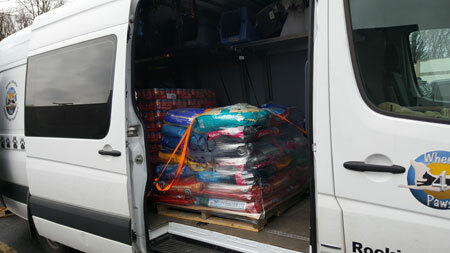 This week we anticipate pickups from 25 rescues sending out about approximately 61,480 lbs of food. 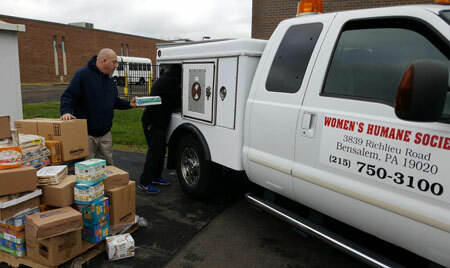 Do you know anyone who does that?